Synopsis: Enter a world of dynastic power struggles and family treachery. 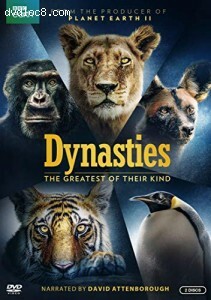 This intimate landmark series narrated by David Attenborough immerses us in the lives of five of the most celebrated and endangered animal families. Witness their incredible determination to protect their family line in the face of challenges to their leadership or from the often harsh environment around them.